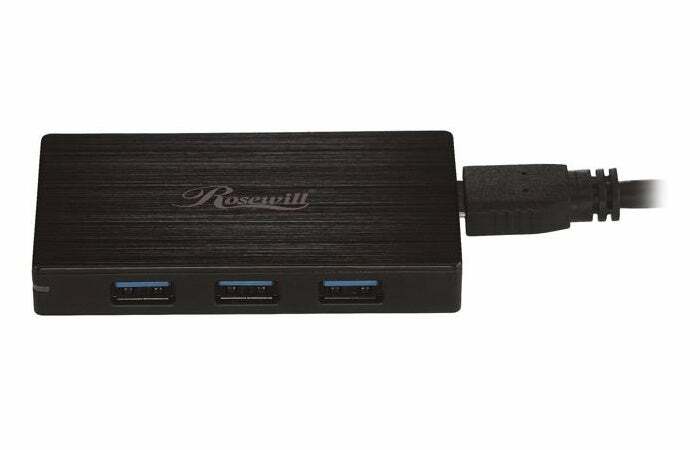 If you're good about filing rebates, you can snag some of Newegg's Rosewill accessories for free. Periodically Newegg decides to heavily discount its Rosewill cables and connectors. Right now, the retailer has a sale on its in-house products that’ll beat even a $0.99 HDMI cable on eBay: Everything’s free. Kind of. These products are free after rebate, so you still have to pay up front. (And depending on where you live, you’ll also have to pay sales tax, which won’t get reimbursed.) After the rebate, you’ll get a gift card worth the value of the purchase. 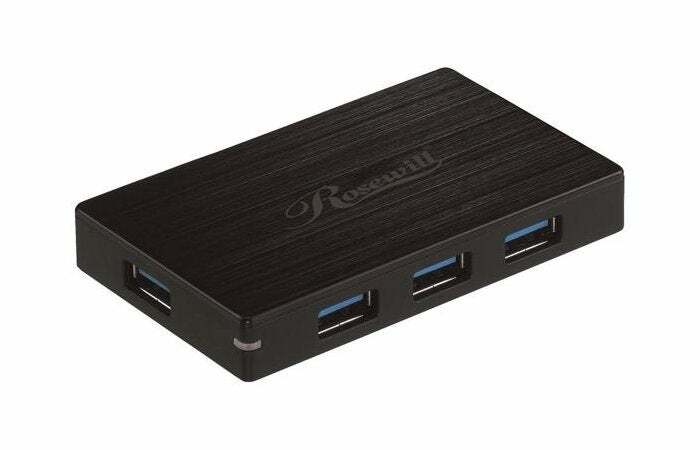 Of all the products available today, I’m most interested in the four-port USB 3.0 aluminum hub for $12 (before the $12 rebate). The device itself is basic. You get four USB 3.0 ports in a slim body with a “non-slip design,” and an LED indicator to signal active data transfers. It should be an especially helpful device if you need to add a few more peripherals to a Raspberry Pi or a single-port MacBook. The USB hub only comes with a USB cable, so to power it for specialty uses like the Raspberry Pi and a MacBook you’ll probably need a 5V wall charger too. If you don’t need a USB hub, there are also USB 2.0 cables, Mini DisplayPort to HDMI, and a Wireless-N Nano USB adapter. Slickdeals has the complete list of available accessories. Remember to save all your packaging if you do place an order, as you can’t file for a rebate if you throw out the UPC and/or serial number barcodes. Make photocopies of all your documentation (UPC, invoice, rebate form, etc) before sending in your rebate, too, in case you need to follow up on its status or resend the information. Also note that while rebate gift cards aren’t as painless as a rebate check—they do expire and/or get hit with fees after a set time—they can be very useful. We like to use them in situations where you’re required to place a credit card on file (like say, a free trial for a service) and thus avoid accidental charges.